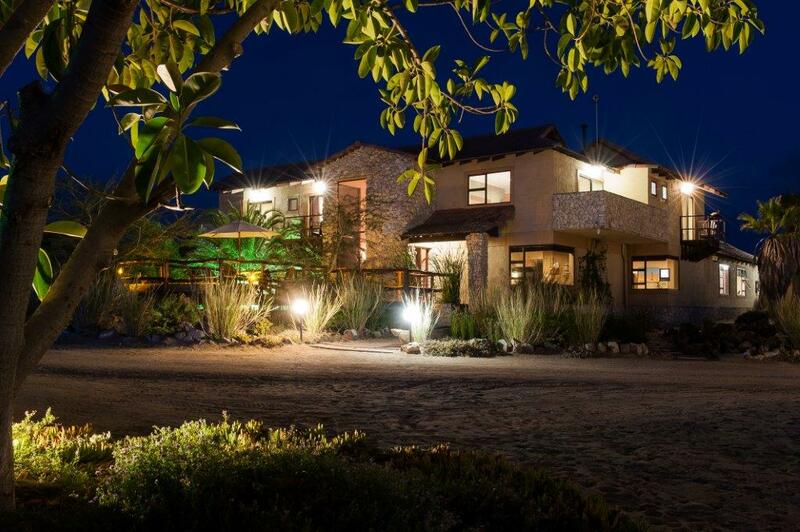 Situated on the outskirts of the beautiful and picturesque little coastal town of Swakopmund, Namibia, Gecko Ridge is a real oasis about 15km from Swakopmund along the Swakop river. The gym, outdoor lapa and a number of bedrooms overlook a partially enclosed large salt water swimming pool making it ideal for private and year end functions. Are you looking for the ultimate in style and luxury in a peaceful and tranquil environment? Do you wish to be pampered in a restful and relaxing atmosphere? 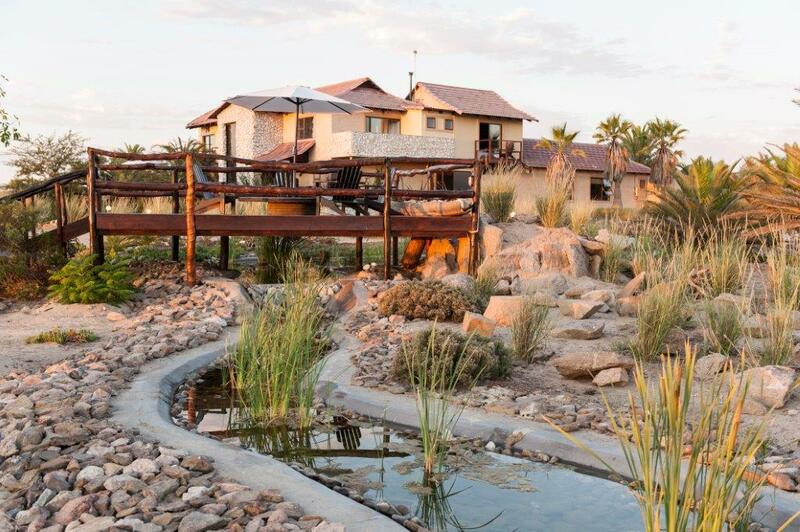 If so, then this is the ideal accommodation destination for you Beautiful wooden sun decks situated over ponds of running water allow for.a well deserved sundowner to be enjoyed, while viewing the amazing sunsets over the Namib desert and moon landscape. Just outside the fog line, Gecko Ridge enjoys beautiful sunny days. Self Catering chalets are ideal for the family that wants to do their own catering during a weekend or holiday by the sea, but still have a need for style and comfort.